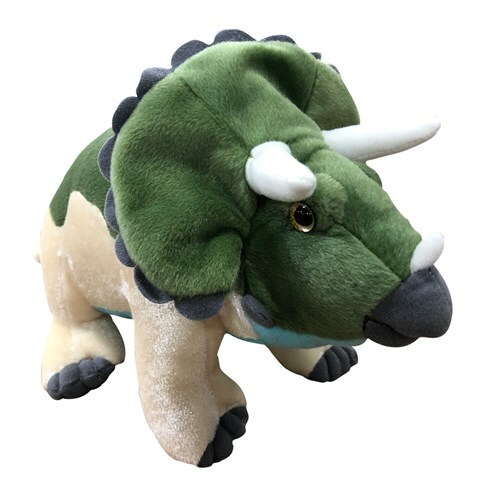 Perfect for any dinosaur lover, this 12" triceratops is a great gift for any occasion. This per-historic mammal is very soft, cute and adorable. Free Gift Wrapping and a Free Gift Card are included to help create a thoughtful presentation.